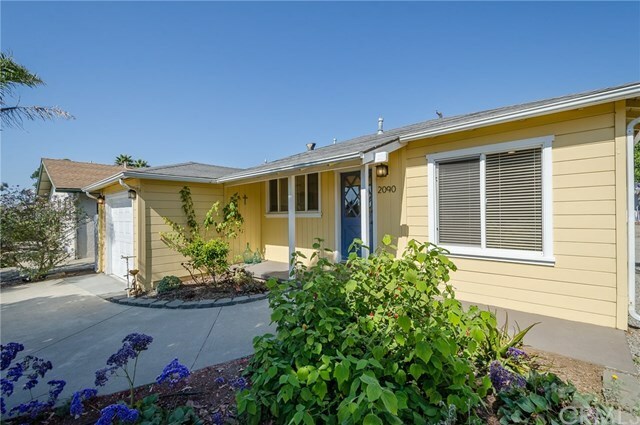 Truly an exceptional opportunity to have a multiple-unit income property that is close to the ocean, beach, and downtown Morro Bay – a harbor town – plus easy access to Hwy 1, Hwy 41 and nearby Cayucos & Los Osos. San Luis Obispo is approx. 15 minutes away and the beach is about 5 minutes. This central location is convenient to the high school, restaurants and more. All 3 units are single level. The lot size is 50ft x 135ft with off-street parking for the rear units. 2090 Bayview: The front 2-bedroom unit is owner occupied and has a single car garage with updates to the kitchen, bathroom, flooring & painting. 2092 Bayview: Vacant unit gleams and offers 1bd/1ba living space. 2094 Bayview: Rented unit has 1bd/1ba floorplan with larger living room area. All units have individual street addresses.Seller is a California Real Estate Agent acting as a principal in this transaction.